Throughout the 18th and 19th Centuries lead production reached a peak and Britain became the main producer of lead in the world. During the 19th Century miners struck 'bargains' with landowners so that prospecting for ore was a mutual benefit. This effectively meant the miners became self employed and had a great incentive to find viable lead veins and exploit the deposits. Major advances in the harnessing of water technology in the form of water wheels meant that some degree of mechanisation was possible. However, mining in the Dales was always hard manual labour and in very remote areas relying on pick and shovel by men, women and children in dirty and often dangerous situations. Miners rarely became wealthy. The precarious nature of prospecting meant that supplements to their income were needed and so most miners and their families also turned their hand to farming for food and even hand-knitting was used to generate extra income. The men often knitted on the long walks to and from the levels and smelting areas, so that time was not wasted. By the turn of the 20th Century the Dales mines could no longer compete with cheaper imports, particularly from Spain, and most mines closed. 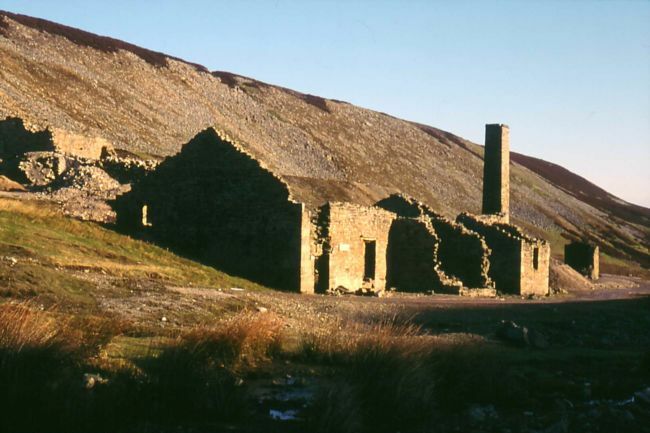 The last working mine in Swaledale finally closed in 1912. Many of the mineworkers moved away from the Dales in search of work. Some moved to the industrial mill towns but others emigrated and continued mining in Spain and Pittsburgh, US. Today the remains of the lead mining industry scar the landscape of most dales to some degree but they are particularly prominent in Swaledale, Arkengarthdale, Wensleydale and Wharfedale.